She called the BJP an “anti-Dalit, anti-OBC and anti-Muslim” organisation that was "trying to create divisions in society". 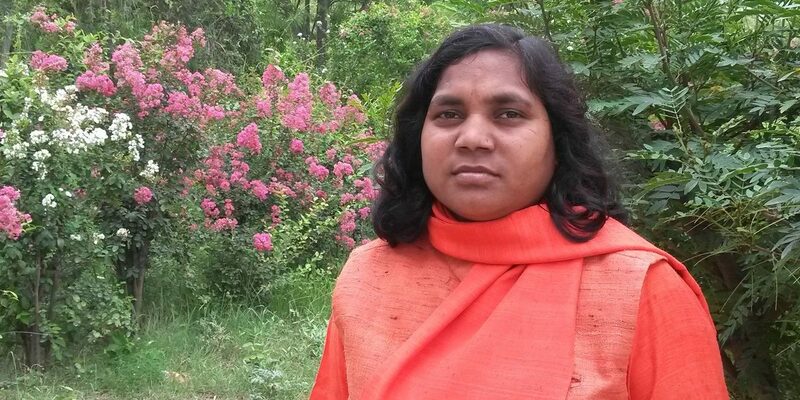 New Delhi: Savitri Bai Phule, one of the 68 BJP Lok Sabha members from Uttar Pradesh, has quit the party. In what appears to be a decision prompted by the recent Bulandshahr violence, the Dalit leader announced her resignation saying the saffron party was “trying to create divisions in society”. Phule, who dons a saffron robe always, has been a severe critic of the Adityanath government for some time now. She has criticised the government’s Swachh Bharat Abhiyan as a mere “publicity stunt” and has also been slamming the government for rising crimes against Dalit communities. Her resignation is likely to impact the BJP, which has been trying to create a Dalit base of its own in India’s most populous state. In the aftermath of the Bulandshahr violence, in which members of Hindutva groups killed a cop when they were protesting over alleged cattle slaughter, many BJP allies have shown their discomfort on and off-the record. However, Phule is the first member of parliament to have protested with her resignation. According to the Hindi daily Amar Ujala, Phule said that the BJP wanted to implement the laws and codes of Manusmriti (an ancient text which codifies caste-based practices and punishments). She called the BJP an “anti-Dalit, anti-OBC and anti-Muslim” organisation. The MP from Bahraich added that since the party was trying to change the Indian Constitution, she is left with no choice but to resign. She called for a rally on December 23, saying that the country needs “a Constitution, not a temple”. Soon after the Bulandshahr violence broke out, Adityanath ordered an SIT probe into the alleged cow slaughter, but chose to ignore the cop’s murder. The chief minister choosing to shift the focus away from the lawless protest by Hindutva groups and towards the alleged cow slaughter has been met with criticism from a large section of police personnel and political leaders. O.P. Rajbhar, a UP minister and an ally of the BJP, too went after the BJP, alleging that the Hindutva forces may have pre-planned the violent protest in Bulandshahr when the western UP town was organising one of the biggest religious gathering for Muslims. Uttar Pradesh sends 80 members to the Lok Sabha. The BJP had won 71 seats and with another two won by its allies, the National Democratic alliance had 73 Lok Sabha members in 2014. However, the party lost three – Gorakhpur, Phulpur and Kairana – in the bypolls. With Phule’s resignation, its tally is down by yet another notch.